I started sewing and quilting when I was very young--it's a family thing--which has resulted in quite a few quilt finishes over the years. There are so many, I sometimes can't remember them all. So I thought it would be fun to have a Flashback Friday of sorts, not only to share these quilts with you all, but also for me to reminisce. 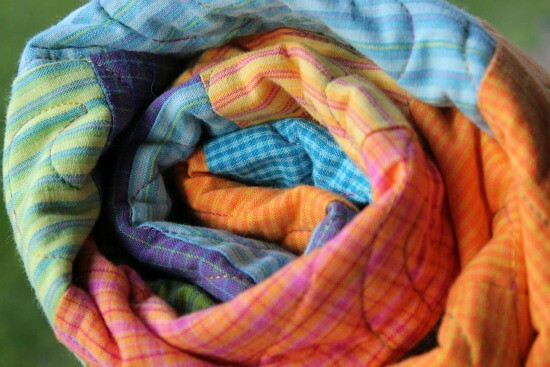 Feel free to link-up any pre-blogging quilts you may have! Years before I fell in love with quilty peeps like Anna Marie Horner, Denyse Schmidt, Elizabeth Hartman, and Tula Pink, I was inspired by Terry Atkinson from Atkinson Designs. Ever heard of her? If not, I highly recommend checking out her blog and website and some of her patterns. 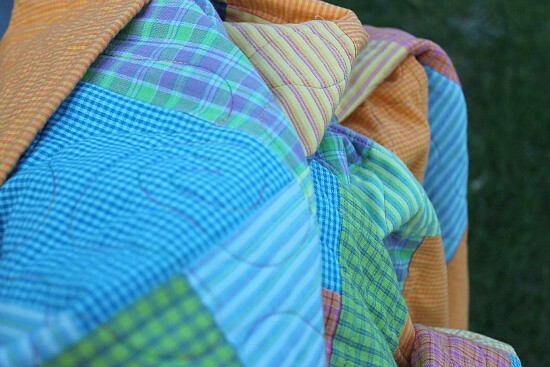 There is something about her quilt designs that will always have a special place in my heart. Simple, basic and forever classic. 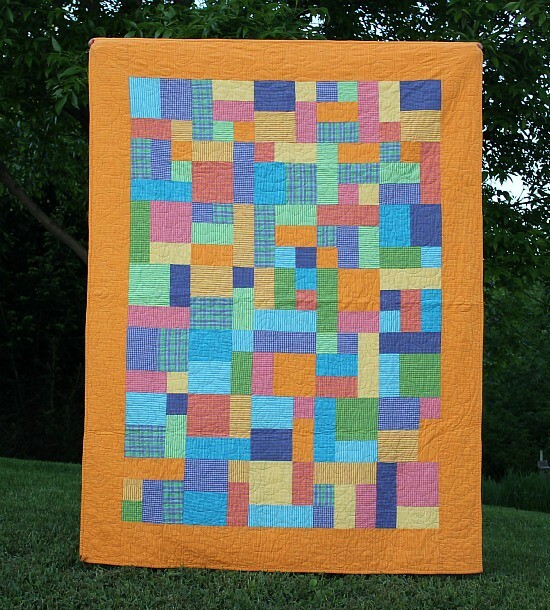 It doesn't matter if you are new to quilting or not, her designs are wonderful! Terry Atkinson has all sorts of published patterns, from quilts to home interior to bags and pouches. I think I have collected almost all of her patterns, but one of my absolute favorites is Yellow Brick Road. 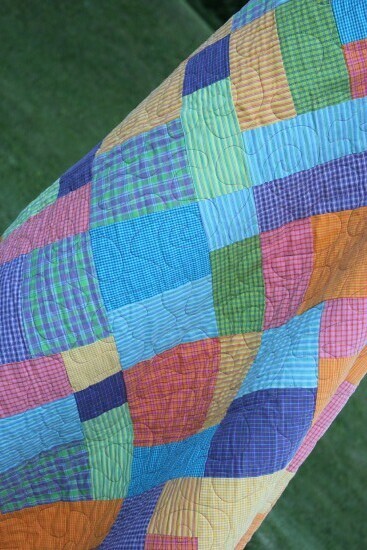 The quilt is made up of 3 different blocks that are arranged at random for a fresh patchwork design. This quilt was made in 2005 while I was still in high school and working at my LQS. Unfortunately, I can't remember the name of this fabric line but almost 6 years later, I still love it! If you notice, most of my recent quilt finishes don't have borders--just a change in taste I suppose--but I really enjoy how the orange border pulls this quilt together. While I was working at the LQS, I was fortunate enough to have access to a long arm quilter. I opted for an all over pantograph of swirls and loops in a variegated thread that compliments the colors in the quilts. And a special thanks to the BF Brandon. 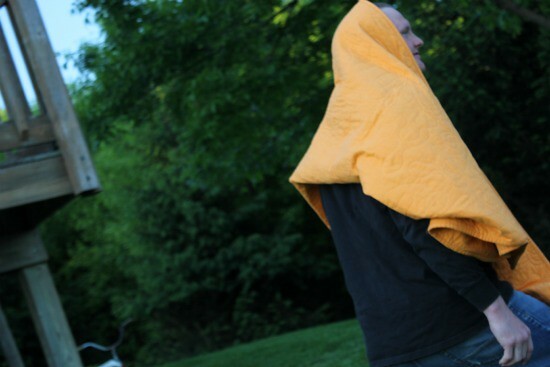 Without you this quilty photo shoot could not have been possible. And there you have it, the Yellow Brick Road. 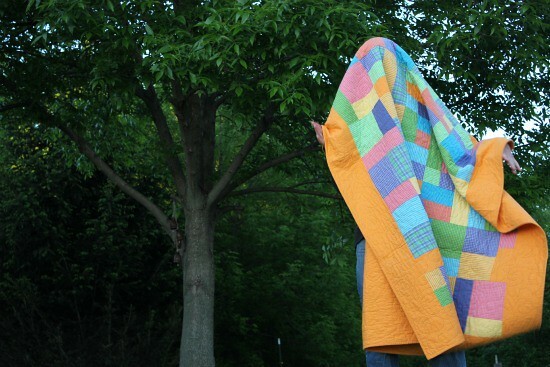 If you have any pre-blogging quilts you would like to share, feel free to link-up. I would love to see them! I've made that one at least a half-dozen times myself. It is a simple but great quilt. And most of mine were made before my pre-blogging days too.